Fifth Avenue is beautiful on any given day. It truly is. 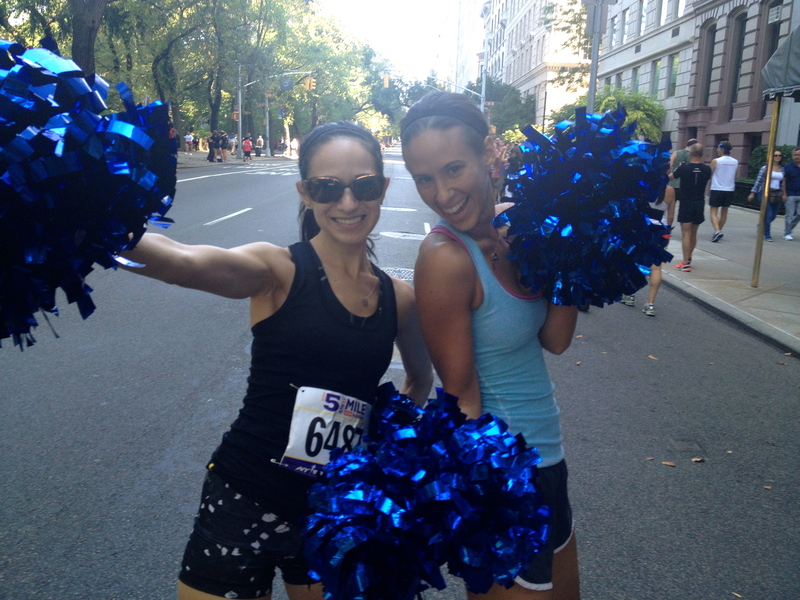 But it becomes phenomenal when the NYRR 5th Avenue Mile arrives. This was my first time running the 5th Ave Mile. My only recent mile experience involves mile-long repeats as part of New York City Marathon training. Running those furiously, the result is usually frustration over pace. And, perhaps wanting to keel over in the grass for a recovery nap. I’ve been so focused on long runs – all between 13-20 miles lately – I hadn’t a clue how to approach racing a single mile. Fishing for guidance, I polled a few athlete friends on how to pace myself in this race. They offered knowing advice: don’t go out too fast; start to push and then hold steady; throw it all down in the last quarter mile. “Run the damn thing as fast as you can so you want to puke your brains out by the end.” Yes, all sounds doable. Strategy finalized: fast and puke. 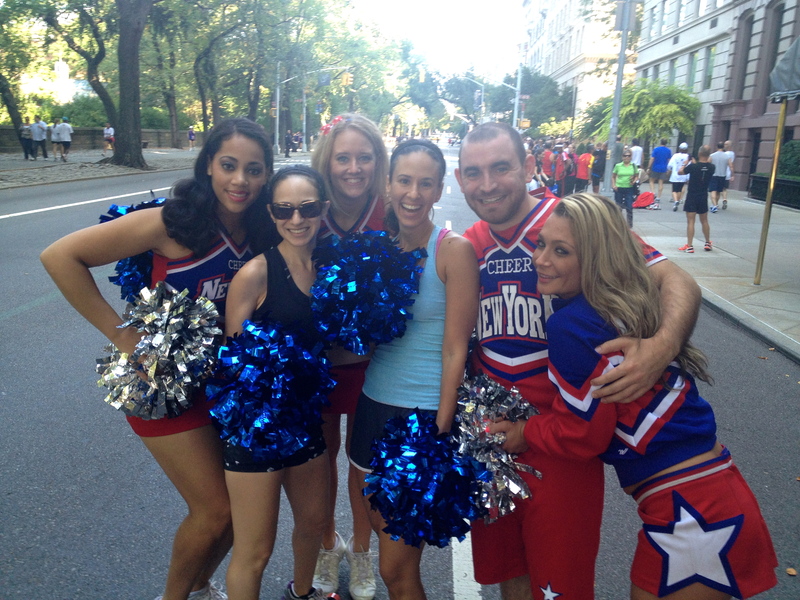 Race strategy aside for a moment, I will say the Fifth Ave Mile is the most fun I’ve ever had at a race. For many reasons. It’s a race that brings the running community together. Sprinters, middle and long distance runners all show up to give the mile what they’ve got. 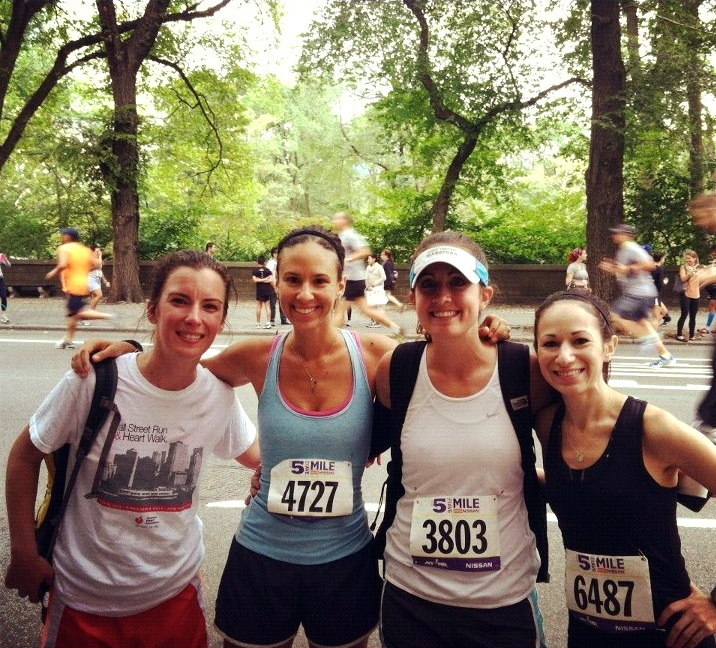 Elite athletes, the wicked fast, and the rest of us – all hanging out for the race. For me, the race was a positive experience. I was excited to change gears for a day and push hard at a short distance. It was a welcome break from all the long mileage. After a short warmup (probably too short) along an empty stretch near the Metropolitan Museum, I lined up for my heat. Women aged 30-39 were scheduled to run at 9:25 AM. It seemed like a large group. With five minutes before start time, I arrived to a jam-packed corral. Women were pouring around the sides of an oddly placed barricade. I squeezed in ahead of the barricade and chatted with a lovely woman from New York Flyers. She was kind to warn me of an incline in the second quarter mile. After, a welcome downhill with gravity aiding us toward the finish line. Noted. We hear the start horn and take off. It’s an odd race start as we’re grouped by age rather than pace. It’s a mix of runners with differing paces all negotiating and navigating for space. Eventually the course opens, providing more room. I was happy to see how quickly each quarter mile marker came up. I was conservative in the first quarter mile, reserving energy and trying not to weave around people too much. I dropped pace steadily, even on the incline, each quarter mile after. 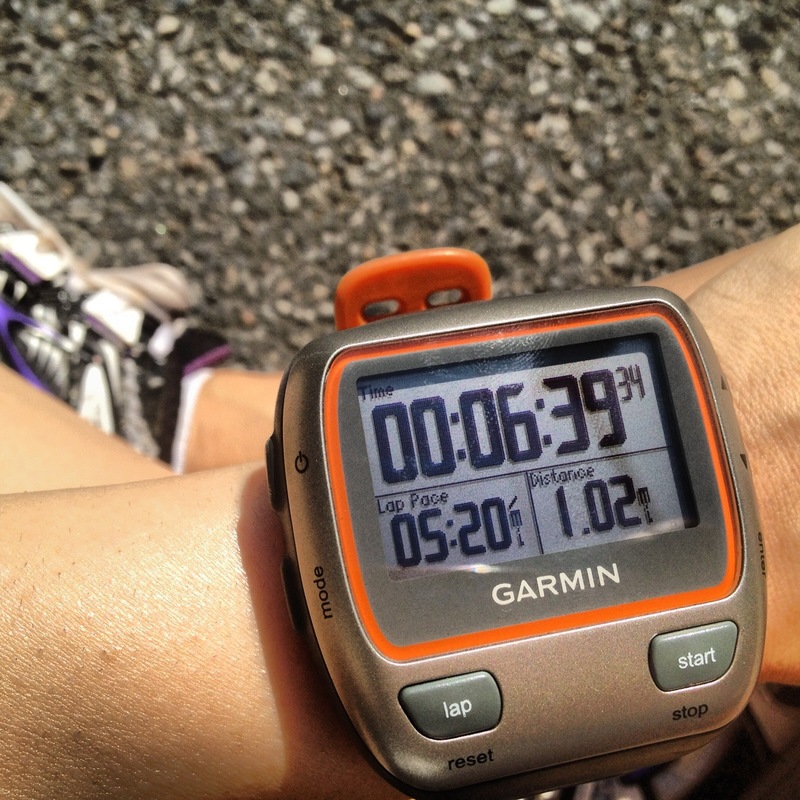 By my Garmin stats, my pace was around 7:19 min/mile at the start, progressing down to 5:46 min/mi by the finish. good. 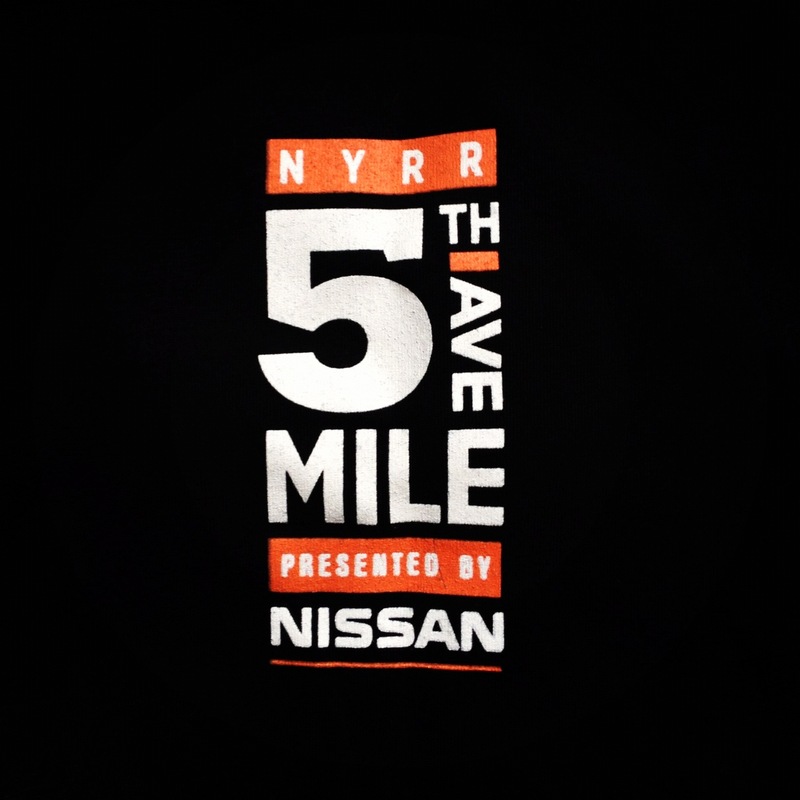 I gave the 5th Avenue Mile a decent go and was pleasantly surprised to see my official result: 6:38. After, it seems I had too much energy to spare. Erica and I became volunteer cheerleaders and danced around the empty course between heats. The excitement of the mile is completely contagious. It’s a classic race distance deserving respect and enthusiasm. All that’s left to do is wait to see my finisher’s photo. Big smile, flexed muscles…because I just showed the mile a little personal smack-down! Sounds like so much fun! I was registered in 2010 to run it, then ended up going to visit a friend in NC that weekend instead… still kinda bummed I didn’t do it. BUT congrats on your race! And hope the 18 goes well today! 6 weeks! Thanks, Kristy! The race was a lot of fun. Glad I finally had a chance to run it. Can’t believe we’re nearing the end of training! Going to start flying by now…!